Alpha-momorcharin (Î±-MC), a type I ribosome-inactivating protein (RIP) isolated from ..... The result of this part implied us that choosing a PEG molecule with. "Vietnam Vietnam Vietnam, we've all been there," Michael Herr laconically concluded his literary ... in Vietnam (Herr (1977:260)). In Dispatches, Herr uses the. ulfide (CS2) and other reagents were purchased from Sigma-Aldrich. (Beijing, China). 2.2. ..... Yuan, T.Q., Sun, R.C., 2016b. A lignosulfonate-modified graphene. We report on the synthesis of Zn1  xCoxSe (0 r x r 0.275) thin ﬁlms by a modiﬁed solution deposition technique. 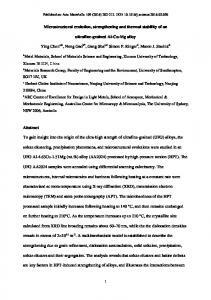 Compositional and structural analysis conﬁrmed the successful realization of Co(ZnSe) thin ﬁlms. Addition of Co2 þ into ZnSe host lattice caused morphological modiﬁcations from globule like morphology (ZnSe) to the formation of leaf like appearance composing the disc-decked micro-ﬂakes elongated in size. To support the observations, Sobel transformation imaging technique has been used. & 2016 Elsevier B.V. All rights reserved. Chemical methods for the preparation of inorganic chalcogenide thin ﬁlms offer the advantages of ease of preparation, economy and industrial scalability . However, the recipe of chalcogenide thin ﬁlm deposition differs on a large scale. For instance, chemical deposition of ZnSe requires 0.3 mL TEA and deposition temperature of 80 °C . Conversely, chemical deposition of CoSe requires 16 mL TEA and the deposition has to be carried at room temperature . There has been no report owing to such extreme deposition conditions. 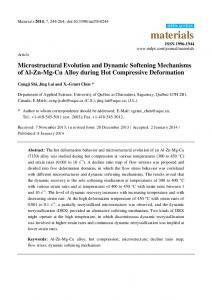 In this paper we report on the synthesis and microstructural growth of Zn1  xCoxSe thin ﬁlms synthesized via a solution deposition route. 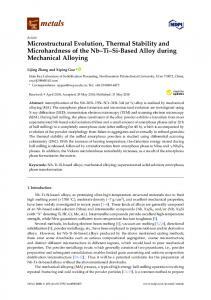 Zn1  xCoxSe thin ﬁlms were obtained onto the glass substrates by a solution deposition method at the pre-optimized deposition conditions (temperature ¼80 °C, deposition time ¼90 min, pH ¼10 7 0.1 and substrate rotation speed ¼60 7 2 rpm). The deposition was carried out by reacting the equi-molar solutions of the ZnSO4 and CoSO4 in appropriate volumes with the hydrazine hydrate (N2H4) as a reducing agent, triethanolamine (TEA) as a complexing agent and ammonia to maintain pH. Sodium selenosulphate was used as the source for Se2  ions and was prepared by reﬂuxing selenium metal powder in the presence of Na2SO3 at 80 °C for 9 h . Terminal layer thickness of the asobtained ﬁlms was determined by the AMBIOS Make XP-1stylus proﬁlometer. The ﬁlm composition was determined using the EMAX electron dispersive spectroscope (20 kV). 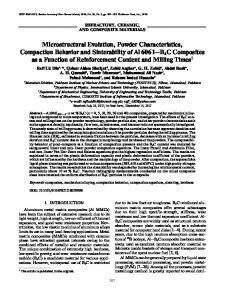 Structural assessment was done with a Rigaku X-Ray diffractometer in 2θ range from 20–80°. The surface morphologies were viewed through a ﬁeld emission scanning electron microscope (S-4200, Hitachi, Japan). An atomic force microscope (Innova, Bruker) was used to obtain the surface topographical features in Tapping Mode at ambient conditions. Standard probes were used (frequency ¼290 kHz, k ¼ 40 N/m and tip curvature o 10 nm). http://dx.doi.org/10.1016/j.matlet.2016.05.058 0167-577X/& 2016 Elsevier B.V. All rights reserved. Fig. 1. (A) Typical EDS patterns for Zn1  xCoxSe thin ﬁlms. (B) Representative X-ray diffractograms for Co(ZnSe) thin ﬁlms. Fig. 2. 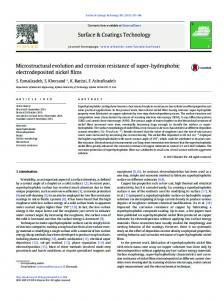 Morphological evolution in Zn1  xCoxSe (0 r x r 0.275) thin ﬁlms. stoichiometric. The analysis conﬁrmed that Zn2 þ from the ZnSe lattice has been replaced by Co2 þ atoms. A marginal replacement of Se2  cannot be denied. JCPD values  and addition of Co2 þ in ZnSe is found to form a solid solution upto x ¼0.075 and further separate phases are observed for the higher x values. Fig. 3. Typical 3-D AFM surface topographs of Zn1  xCoxSe thin ﬁlms. indicated the presence of a privileged orientation of the morphological features. The surface roughness (Rq rms) is cited in Table 1. 4. 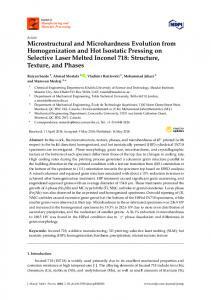 Conclusions Synthesis of ZnSe and Zn1  xCoxSe (0 r x r0.275) ternary thin ﬁlms was made feasible by a solution deposition technique. Effect of Co2 þ integration into ZnSe host lattice was assessed through the physical, compositional, structural and morphological studies. Zn2 þ replacement to accommodate Co2 þ into a host ZnSe lattice was observed in the compositional studies. 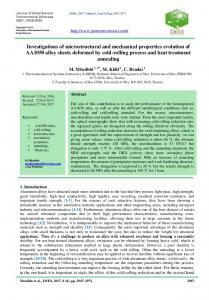 The structural assessment showed a mixed phase structure consisting of cubic zinc blend and hexagonal wrutzite phases. A morphological evolution from globular crystallites to leaf like disc-decked micro-ﬂakes is observed through FESEM studies. To support the microstructural observations we have also conducted AFM and the advanced imaging, Sobel transformation technique to provide a better visibility of the ﬁne structures and features of the materials (Fig. 4). Fig. 4. Angular spectra revealing privileged orientation of the morphological features and Sobel transform indicating the edges of the morphological features. Acknowledgments One of the authors (STP) would like to acknowledge Solapur University, Solapur for the grant of the Departmental Research Fellowship. L.P. Deshmukh, in: Proceedings of the International Photovoltaic Solar Energy Conference, IPSEC (Solar Asia-2015), 30th Aug–1st July 2015, University of Pune, India. P. Pramanik, S. Bhattacharya, P.K. Basu, Thin Solid Films 149 (1987) 81–84. S.S. Kamble, D.P. Dubal, N.L. Tarwal, A. Sikora, J.H. Jang, L.P. Deshmukh, J. Alloy. Compd. 656 (2016) 590–597. JCPDS cards 00-019-1476, 01-089-2004, 00-001-0690, 00-005-0522. W. Zhou, S. Xue, J. Ha, P. Xie, Mater. Lett. 134 (2014) 256–258. C. Liu, J. Song, J. Zhao, H. Li, H. Qian, H. Niu, C. Mao, S. Zhang, Y. Shen, Appl. Catal. B: Environ. 119 (120) (2012) 139–145. A. Iwan, B. Boharewicz, I. Tazbir, A. Sikora, E. Schab-Balcerzak, M. GrucelaZajac, Ł. Skorka, Synth. Met. 189 (2014) 183–192. A. Iwan, B. Boharewicz, I. Tazbir, A. Sikora, M. Maliński, Ł. Chrobak, W. Madej, Chem. Sci. Rev. Lett. 4 (14) (2015) 597–608. D.G. Eckold, K.D. Dearn, D.E.T. Shepherd, Biotribology 1–2 (2015) 42–50. 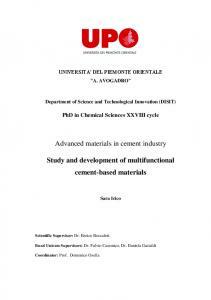 Report "Chemo-synthesis and microstructural evolution of Zn1"